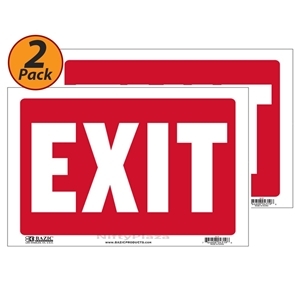 9 inch x 12 inch exit sign. States "Exit" in white and has a red backing. 9 x 12-inch 'Exit' sign. High impact, superior visibility.